MPs voted to wrest control of Brexit from Prime Minister Theresa May with a day of indicative votes to see if there is any way forward out of the impasse. They will vote on a series of amendments proposing a range of Brexit options on Wednesday to see which can command a majority in the House of Commons. What is the purpose of indicative votes? The aim of Wednesday's votes will be to see if anything can command a majority in Parliament. An indicative vote is a non-binding vote on an amendment to "indicate" what parliament wants - it is an alternative to parliament continually voting down motions it does not want. Supporters of indicative votes think it could be the way out of the current political stalemate. Can the government ignore the result? Liam Fox, the international trade secretary, suggested May could ignore the MPs’ votes if their choice goes against the Conservative manifesto. Indeed, the government is not obliged to act upon the results of the votes but they are designed to show the will of Parliament and where the most support lies. There is always the possibility that none of the motions tabled will command a majority in the House, or that two options secure the necessary votes, leaving the Brexit deadlock in place. MPs were permitted to put forward their preferred Brexit plans on Tuesday evening. Read a list of tabled amendments here: What is the British parliament going to do next? 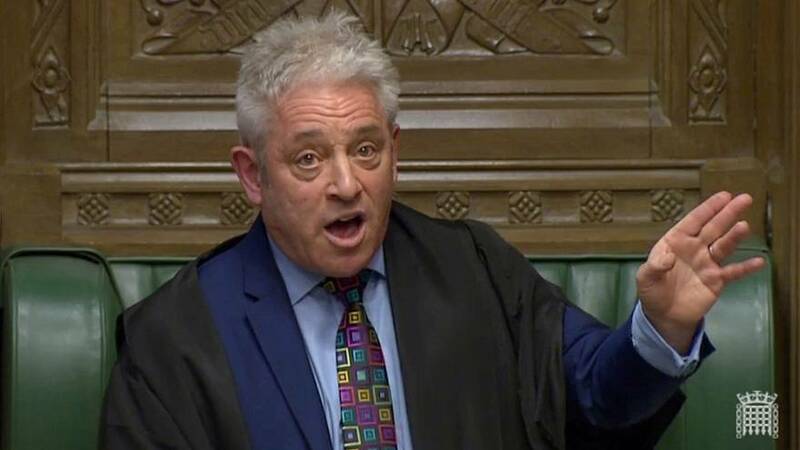 Speaker of the House of Commons John Bercow will announce on Wednesday which votes will go forward and how they will be organised. Following a debate on the various options, MPs will vote. They'll do this by filling out a ballot paper in one of the division lobbies — this is different from the usual Commons process, which sees lawmakers file through the lobbies of the House to show if they favour a "yes" or "no" vote. Totals for and against each option will be collected by clerks. The MPs put their name to their ballot papers, so the eventual results provide a list of who supports and opposes each option. What time will they take place? The parliamentary process could begin straight after Prime Minister’s Questions, around 13.45 pm CET. Voting is expected to take place from the end of the debate at 8 pm CET, lasting around half an hour. Has the UK ever seen indicative votes before? Indicative votes were used in the Commons in 2003 to gauge lawmakers' opinions on seven options on reforming the House of Lords. The result was a stalemate — exactly what some are worried will happen over Brexit.